Now that Ma Midd has broken the ice with interviews, maybe James (the brother) and Pippa can talk to the press. 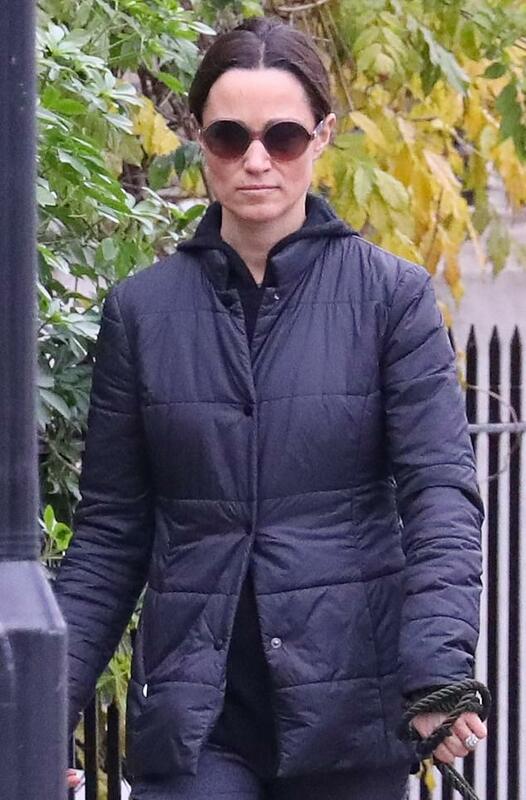 According to those close Pippa is keeping her head down as any news on her starts people asking what has happened to the investigation on her FIL Pa Matthews and his alleged violent physical attack and abuse accusations. It’s taking so long now that there are suggestions that QE is having that quashed too like many other situations previously. I think Carole and Pippa are in fact teaming up to launch James at someone, anyone and hope he manages to use the Middleton Method to latch on. Pippa hasn't succeeded in finding someone for James on her own and now Carole is determinedly entering the fray to help her brainless son and useless daughter get James a wife. I just wonder why a man with his own business and good connections (except for his father) are in fact so eager to give it all to the Midds. I mean really, he could have done better and there is no way I would want him handling ANY money of mine given how close Pippa is to the man who would have access to it. Frankly I do not know why people would want someone to place bets with their money and not just do stock research themselves. I am against that kind of access to any of my money and now with his father's impending charges, that is just a bad bet all around. As for Pippa's bed hopping, she made the mistake of thinking that she could get away with messing around and not experience any consequences. As any new parent knows, getting out and about for fresh air is vital when you have a newborn, and Pippa Middleton certainly didn't let a spot of drizzle hold her back from a family outing with husband James and their baby Arthur. The couple were spotted taking a stroll near their London home on Saturday, with Pippa, 35, sheltering under an umbrella as James, 43, took charge of the pushchair. The Duchess of Cambridge's younger sister opted for a smart casual look for the outing in blue jeans, teamed with a chic camel coat and charcoal scarf. She wore her brunette hair tied back from her face and seemed to go without make-up for the low key outing. No elaborate christening then? No snotty society mention in the columns? No WK or the three royal children that will be there lending their titled luster to the event? Either Pippa and her husband have decided to remain low-key out of the shame of her FIL's alleged crime, or perhaps her husband put his foot down and told her that he was NOT going to participate in her airs and graces. I still think her life isn't what she wanted it to be and I think since her husband controls the money, he is dictating her way of life and that is not one of Pippa blowing his cash on chasing every party or other event and buying big jewels and couture clothing. There was so much public ridicule at Ma's staged OTT Mary Poppins effort for Charlotte's Christening that they were advised not to do it again. Those close to Pippa also say that they want to keep a low profile right now due to FIL's situation. You know, I wonder if Pippa is aware that due to her FIL's situation, that any chance at a higher society life is in fact impossible. As for her husband, I wonder if his slashed profits are the result of his father's alleged actions. Keeping a lower profile isn't going to help them at all since when this goes to court, I am dead certain that it will closed doors on the Middletons forever. As for the BRF, I wouldn't say that the BRF is something to brag about anyway socially. Pippa is no better off socially in terms of being a powerful society figure and she really made a mess of herself. I KNEW that something messy was up with this guy since anyone who would want Pippa after the mess she has made of her life (2012 gun mess, messing around with guys while committed to others, wrecking her chance at a career as an author, badmouthing people publicly via leaks) and I believe (for reasons I still do not know) she is unable or unwilling to accept that actions have consequences. Second, decent men from decent families do not want to support a spouse in high style when wife in question does not have anything of her own or even want to work to contribute to the well being of the family. Third, sane men do not want to marry someone who will clearly expect to be able to keep up with a sibling who is an HRH and dealing with a MIL who will look down on them for not being titled or rich. No one who does honest work and lives and honest life deserves that kind of mistreatment. Life can be hard enough, without having to deal with the hassle and pressure of supporting a family, while at the same time, dealing with a family of in-laws who will NEVER find them acceptable. When you throw in that not only are you supposed to work to keep your family off the streets, but work to a point where you are supporting the expensive tastes of a wife, it means that you've placed a horrific burden on one's shoulders. It would be all the more intolerable to end up having an ungrateful wife and her ungrateful family as well. Life is too short. ^ I doubt that chances at higher society are impossible. Not just because of Waity having married into the Winds, but also because the Matthews family have been part of that set for ages. And because no innocent child should suffer for the crimes of their father. The Matthews r*pe scandal has been nicely swept under the rug. And even if it were blown wide open, it would affect the perpetrator more than his kids. And let's not forget that people of that circle have survived even worse unscathed. If she isn't invited to society stuff, it will matter to Pippa. Second, neither Pippa or her husband are innocents and third, people behind closed doors don't forget this stuff and it is those behind closed doors that decide whether or not Pippa gets invites to their homes. I am certain that it will matter to Pippa and frankly the Matthews bought that title and it goes no further back than James' father, no further and in that set, the age of the title matters as well. Does she phone the press to tip them off when she goes out, or does Ma do that? Any bets how long until Pippa & Kate (& Vogue) start wearing these? With not so subtle hints towards the brand? Boy does she looked ticked off at somebody! I'd *despise* to be on the receiving end of this hard broad's temper. I think she's having a bad day since she's been forced to deal with the fact that her FIL is now accused of underage violent physical attack, her husband isn't going to pay for her bills as she travels the world and racks up million pound shopping bills, and will not at all happy that her society aspirations have not at all worked out. Throw in the fact that she isn't being allowed to showcase her son to launch another attempt to become part of the upper crust social scene and it is a mess. Hubby’s hedge fund firm recently reportedly down in profits too. Oh dear, that means he probably told her that they would be cutting back on what they already have (amazing amounts to us, but paltry compared to her aspirations on how she wanted to live) and I believe she is getting more and more frustrated at how things have NOT worked out for her. I said it would likely go this way. Who gives a damn about The Pigeon-toed Leatherette? She and her Ugly Giraffe Neck Husband are completely boring. She certainly doesn’t look happy, just hard faced and miserable. Not the aristocrats who she wants to care about her and not the royals who she wants to care about her. Not even the press who she and her family likely pay for press attention. She wants all the wrong people to care about her and until she accepts the realty of her limitations that life has placed on her (for whatever reasons) she will continue to be miserable.